This month Miscelanea opens Marilyn Tenía Once Dedos en Los Pies (“Marilyn Had Eleven Toes on Her Feet”) by Valencian artist Maria Herreros. 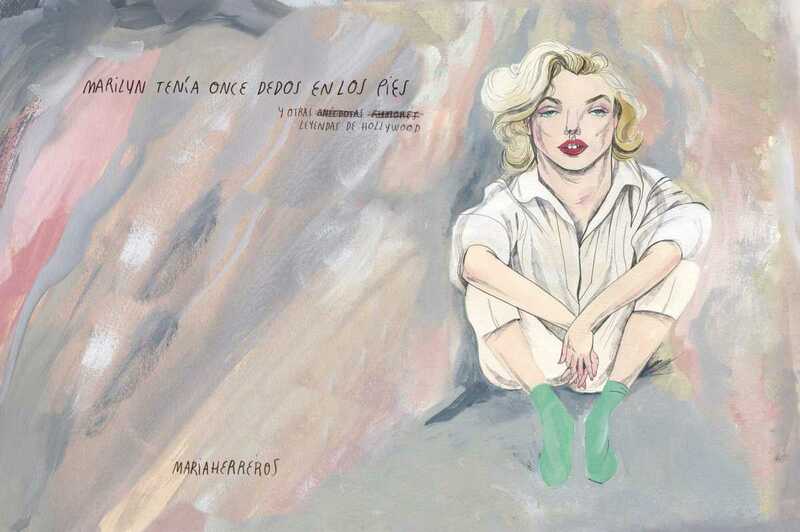 The exhibitions features illustrations from Herrero’s first solo artbook of legends including David Lynch, Kubrick, Scorsese, Angelina Jolie, the Coppolas, Wes Anderson, Sofia Loren, Tim Burton, Woody Allen and Tarantino as well as a site-specific, large-format piece. The show will run through May 22nd.